Pleasant Lea Middle School recently created a new after-school program — Tiger Tribe — designed to allow students who would like to attend any home game to participate in pre-game supervised activities. Beginning this semester, students are able to stay after school and join Tiger Tribe which offers a number of activities such as team building, learning chants and cheers, making positive posters for athletes, playing games and participating in community service projects. 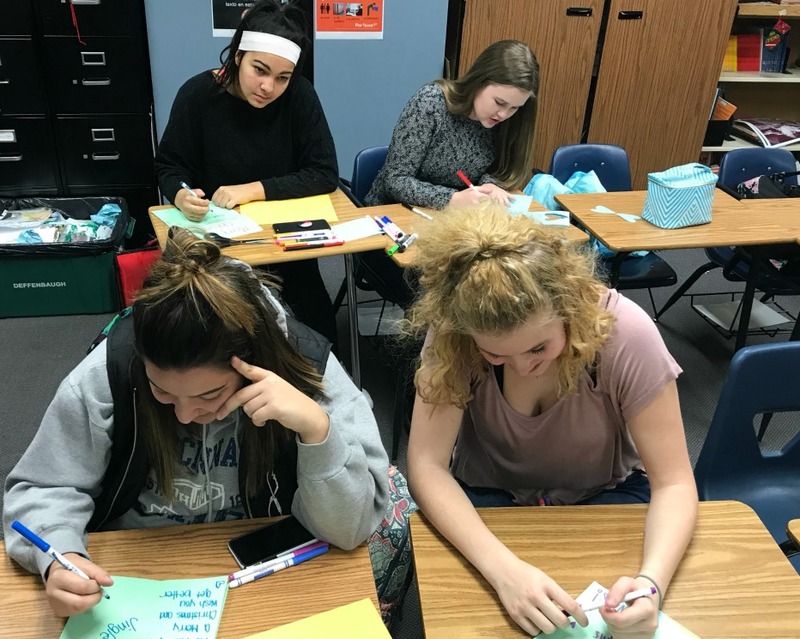 During December, students created holiday messages for the patients of Lee’s Summit Hospital. They have taken great pride in the fact that they might brighten someone’s day, said a school spokesperson. “We started this club as a way of involving more students in school activities and we have been impressed with the number of kids who have come out to support our Tiger athletes,” said co-sponsor Marcy Hess. Students pictured are Kyra Wilburn, Claudia Erps, Christy Distefano, Jackie Shepherd, Abbey Tracy, Bailey Birchfield, Jager Johnson, Matthew Banhart, Izzy Concepcion and Harryson Salcedo.